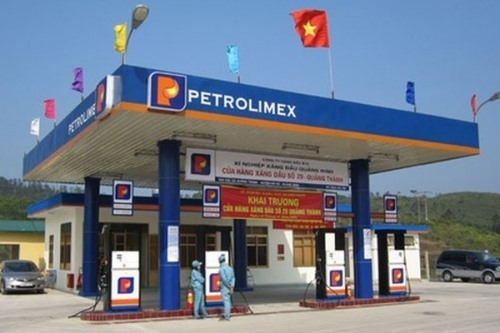 HÀ NỘI – The Việt Nam National Petroleum Group (Petrolimex) will continue improving the quality of corporate management and enhancing international integration to increase efficiency. Petrolimex announced these development plans until the end of this year at its annual shareholder meeting in Hà Nội yesterday. At the meeting, Petrolimex announced a target for this year for total revenue of VNĐ143.21 trillion (US$6.28 billion), a year-on-year increase of 16.3 per cent; pre-tax profit of VNĐ4.68 trillion; a minimum dividend of 12 per cent; and total investment of VNĐ1.45 trillion, a year-on-year surge of 38 per cent. The group will focus on restructuring according to the Government’s direction and implement suggestions when listing shares on the HCM stock exchange. Petrolimex also plans to increase efficiency in capital use and promote international integration by investing abroad and working with ministries and agencies in completing legal policies for investment and business. For its business of petrol and oil products, the firm plans to focus on management of the source, closely follow policies on the exchange rate, enhance efficiency in capital use and increase selling volume of petrol and oil products. The group aims to promote efficiency in protecting Petrolimex’s brand and reputation at home and abroad through co-operation with member companies, ministries and provinces/cities. It also hopes to continue cost cutting measures to improve efficiency and will determine a schedule for implementing the use of electronic invoices. Restructuring of non-core business will be enhanced to increase internal co-operation among member companies. Also at the shareholder meeting, Petrolimex released the results of its production and business last year. Petrolimex chairman Bùi Ngọc Bảo said the group’s profit in the first quarter of this year increased by two per cent against the profit of VNĐ1.3 trillion ($57 million) in the first quarter of 2016. In its initial public offering on April 20, 2017, Petrolimex sold more than 27 million shares, totalling nearly VNĐ412.3 billion ($20 million).